Our focus: helping home inspectors succeed. 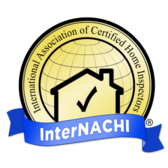 InterNACHI is the world's leading association for home inspectors. We provide free training, online testing and certification, business development, marketing support, discounts on everything from home inspection software to E&O insurance to your next truck, and more. Get All-Access Membership Work towards certification at your own pace (no additional cost). InterNACHI runs thousands of lead-generation websites that get members thousands of home inspections every day. If you're not part of InterNACHI, you should be, because the training is second to none. I realized the power and impact that InterNACHI could bring to my business... My business has probably grown three times over. I simply would not be the inspector I am today without InterNACHI. Richard C. Milano of Advantage Home Inspection Service, Inc.